With Stand : 391.9 (H) x 490.1 (W) x 180.8 (D) mm. Net / Gross : 2.16 / 2.8 kg. Form is just as important as function. This 21.5″ Full HD (1920 x 1080) resolution display features an ultra-slim design at just 10.6mm thin in terms of depth, a 1.5mm ultra narrow bezel, and 4.2mm narrow black border. Very efficient with space. 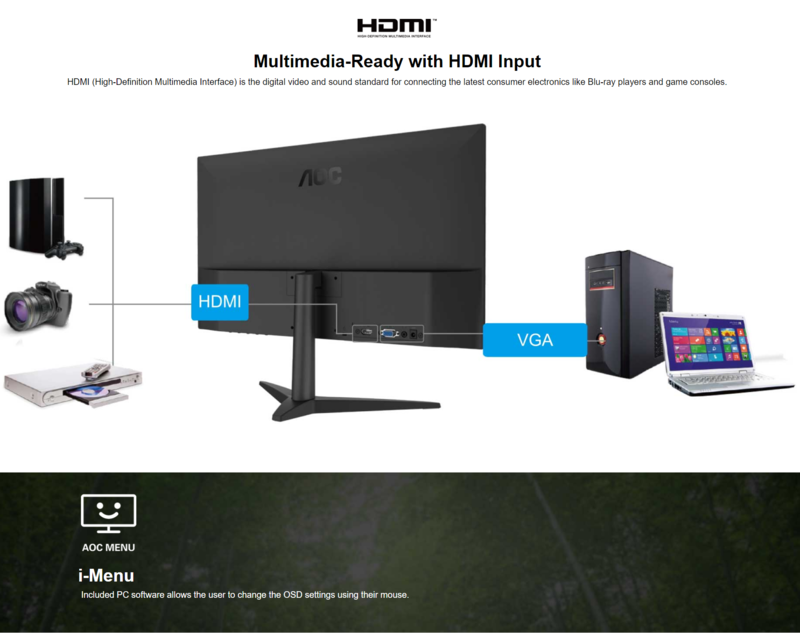 Also features multimedia connectivity (HDMI and VGA), Low Blue Mode and Flicker-Free eye protection, i-Menu on screen OSD, and more.